The birds are completely different from all other animals due to their features like feathers, wings, claws and beaks. They are social warm-blooded creatures that can fly and live in a nest. 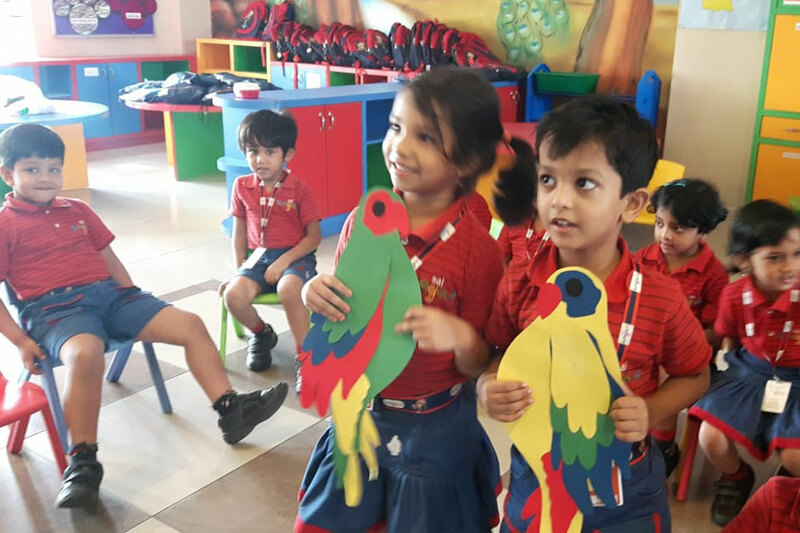 Students of KG-I were taught about different kinds of birds and their beaks in a classroom activity. The class started with the teacher wearing a headband with a big beak on it. She flapped her wings and swayed around the class to give the impression of flying. This set the mood for the lesson. Students got to know that different birds have different beaks as per their food habits such as the duck has strainer beak, eagle has hooked beak and many more. The students were asked to paint a beak for themselves and prepare a headband. They wore the headband and flapped their wings and flew around in the class. 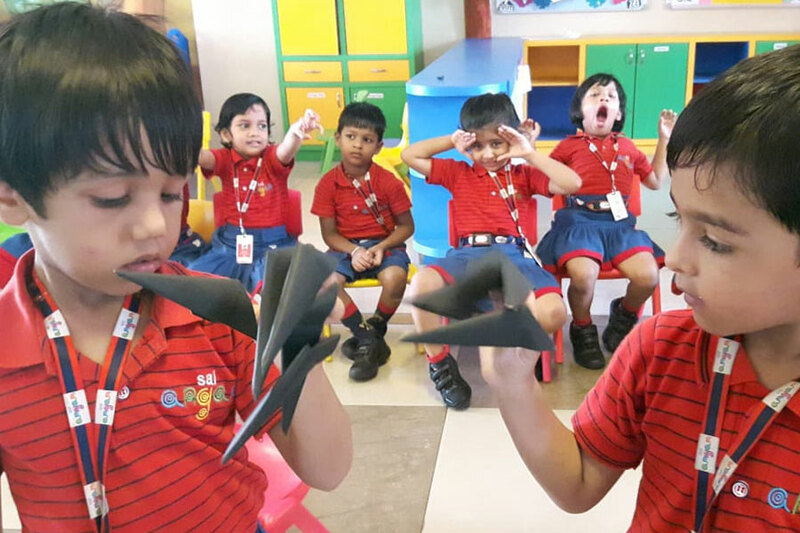 After this activity, the students were able to identify the beaks of different birds and understand the reason for the varying shapes and sizes of birds. The students enjoyed flying like birds. This created lot of excitement and thrill amongst the students. Such activities help to enhance the kinesthetic, linguistic, interpersonal and naturalistic skills of the students.